liquid therapy wine glasses: need I say more?! 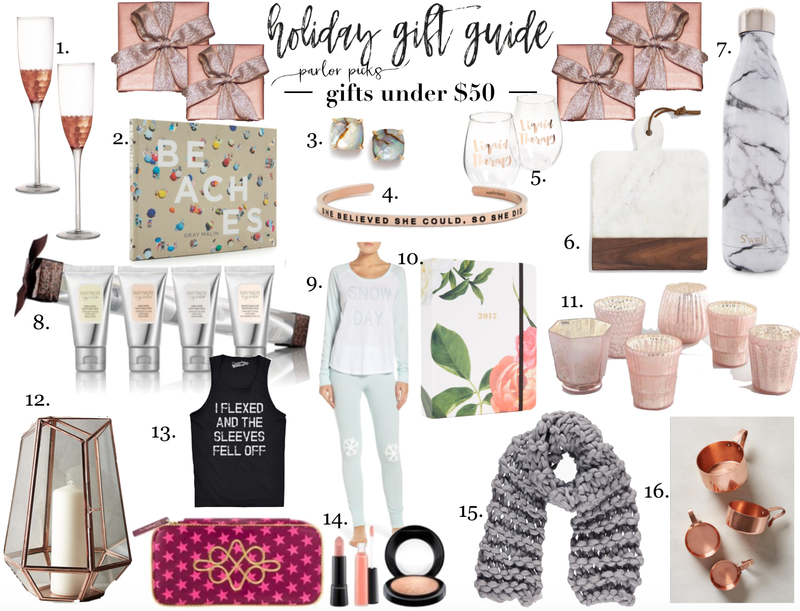 Here is todays' gift guide for some lovely things that are all under $50! I figured I would launch this one early as girlfriend holiday dinners/lunches typically happen way before Christmas, secret Santa/white elephant at work or even those of you that are eager to get all of your shopping done before or on Black Friday! Each of these gift options above, would be perfect for yourself, daughters, mothers, sisters, friends and co-workers. I know I am starting this weekend and will be getting a few more of these holiday gift guides up for you well before the Black Friday and Cyber Monday madness. P.S. you can find all of my gift guides in one place by clicking the photo on the right side of my blog page that says Holiday Gift Guides.